Simply put, the Public Feed API is more or less what it sounds like, a real-time feed of public posts that mention a certain term. The Keyword Insights API is a little more detailed though, it will do the same thing as the Public Feed API but it will then serve up anonymous data about the users interacting with any given public post. The data includes things like age, gender and location. 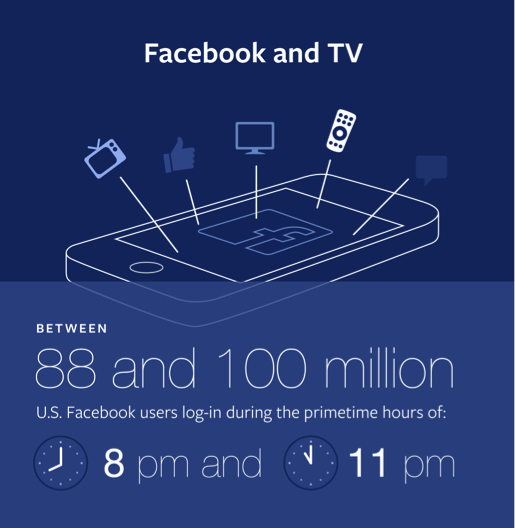 The purpose, according to Facebook, is to allow the networks to better understand user interaction with both current events and their respective primetime content. "Last week’s kick-off of the NFL season garnered over 20 million likes, comments, and shares on Facebook by over 8 million people," VP of Media Partnerships and Online Operations at Facebook Justin Osofsky said. Now news networks can integrate these user interactions, displaying live streams of public posts based on current events on their broadcasts. The company claims that between 88 and 100 million users log onto the service in the evening between 8 and 11PM. At this point, the tools are only available to a select group of partners including Buzzfeed, CNN, NBC’s Today Show, BSkyB, Slate. and social networking company Mass Relevance. Facebook said the APIs will be made available to additional media partners and marketing developers over the next few weeks.